Pioneers in the industry, we offer massage plate, plastic chain and solar blinker from India. Coming with spaces for clear display of road safety message, these Massage Plate choices are developed using quality material which makes them last long as well as provide for efficient end usage. With option of mounted message plate, the product is highly effective to be used as road safety equipment. Further, as it is developed using superior grade LDPE in innovative clear visibility based designs, these are suitable to be used during night time. The use of UV stabilizing colors also make these last long in comparison to other similar products available in the market. Some of the standard features of the product include superior visibility during night or day, developed using high density polyethylene and lightweight construction. 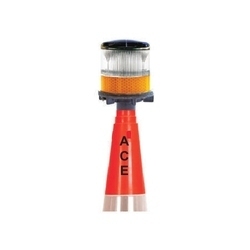 Some end applications these are used in include for division of centre lane, for creating diversion of roads, for demarcating of parking zones, for demarcating no entry zones and for creating temporary barricading at places like hotels, hospitals, railway stations and others. 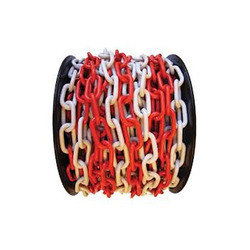 Coming in best quality plastic fabricated finish, these Plastic Chains are developed using latest technology support which makes them last longer as well as provide for optimum end usage support in defined applications. Here, our expertise lies in offering these in different color combination choices as well as at competitive prices. Some of the end areas these are preferred to be used in include for marking a perimeter, for directing of crowds, for particular area identification and others. 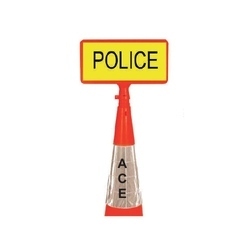 Made from yellow plastic, some of the other end applications these are used in include for creating of centre lane dividing, for diversion of roads, for creating of parking zones, work zones, no entry zones as well as for temporary barricading. Finding use in application areas like centre lane dividing, diversion of roads, creating parking zones/men at work zone/no entry zone as well as for temporary barricading at hospitals, airport, bus terminals and others, these Solar Blinker options offered come with easy mounting support and provide suitable warning to oncoming vehicular traffic of crossover, underpass and other similar places. Supported by LED based blinker support, it can be operated for 24 hrs and feature presence of low maintenance rechargeable solar battery support for consistent long lasting usage. Here, our expertise lies in making it available in quality flexible plastic with stabilized UV coating for use in all weather conditions.